There was further coverage in the Daily Mail over the weekend of the Great British Spring Clean (GBSC) 2019, including of Environment Secretary Michael Gove attending a litter pick in his constituency in Surrey. The Environment Secretary was joined by local volunteers and Keep Britain Tidy, where he helped collect 25 bin bags of litter along a nature trail by the A331. The Mail’s coverage also noted that the government is consulting on plans for a deposit return scheme by 2023 to drive up the recycling of cans and bottles. I am delighted to be out supporting my local community in Surrey in the fight against litter. Up and down the country, volunteers have come out in their droves to support Keep Britain Tidy’s Great British Spring Clean and help make a difference for our precious environment. It’s great to see first-hand the impact the campaign is making, and I’d urge everyone who can to join me and half a million others in taking part. The GBSC is an annual event which calls on communities to clean up their local area through local litter picking events. 533,469 people have signed up or taken part already, building on last year’s 370,000 #LitterHeroes. It is the second litter pick the Environment Secretary has taken part in so far for this year’s GBSC and follows his litter pick in West London last month. Environment Minister Thérèse Coffey also joined a litter pick in Suffolk last month, which you can read about here. Sir James Bevan, Chief Executive of the Environment Agency, has reaffirmed the EA’s commitment to tackling the organised waste crime in an interview to The Times published today. 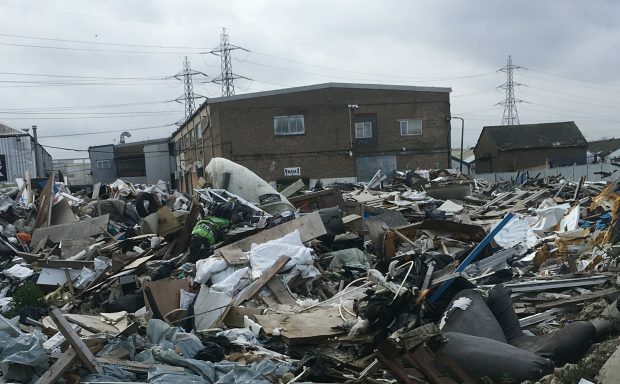 In an exclusive interview with John Simpson, crime correspondent at The Times, Sir Bevan sheds light on the growing number of criminal groups targeting the waste and recycling industry driven by monetary gain. People who are involved in serious organised waste crime are involved in almost every other form of organised crime — trafficking, drug running, prostitution, arms offences. We can close down these sites, we can block off entrances. We can seize vehicles and crush them. We can refuse permits and also shine light on the need to work with the police and other agencies to combat the growing issue. In closing remarks, Sir Bevan defends the industry saying that “the comparably tiny scale of searches and seizures compared with the levels of waste being exported reflected low levels of illegal waste export”.